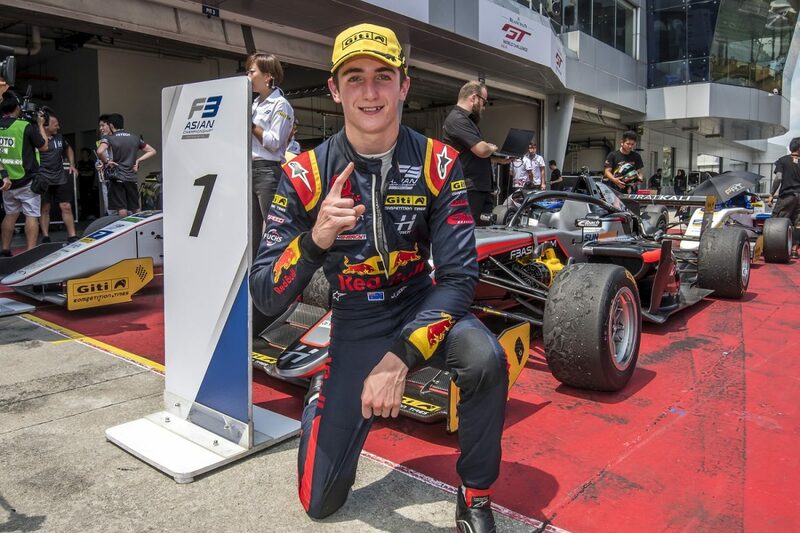 Jack Doohan emerged victorious on debut in the F3 Asian Championship at Sepang. Doohan converted from pole in Race 3 to clinch the victory ahead of team-mate Ukyo Sasahara and Tomoki Takahashi in third. The Australian also excelled in Races 1 and 2, finishing second in both encounters, with Sasahara dominating at the front. New Zealander Brendon Leitch scored a podium on his first appearance in the series, claiming third in Race 2 after coming fourth in the opening hit out. Leitch then followed it up with another fourth place in Race 3. The next round of the F3 Asian Championship will be at Thailand’s Buriram International Circuit from May 11-12. 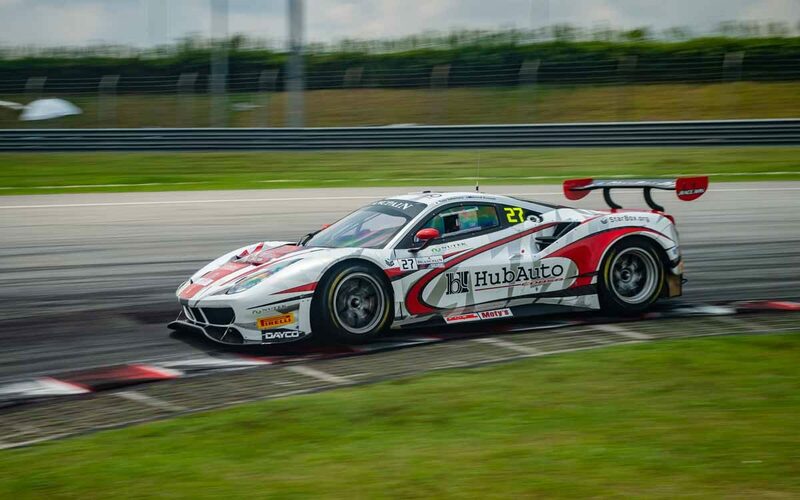 David Russell finished third for HubAuto Corsa in the opening race of the Blancpain GT World Challenge Asia of the year at Sepang. Co-driving the Ferrari 488 GT3 with Yuya Sakamoto, Russell held second for a period before dropping down to the final podium position in the closing moments of the weather-affected race. The race was won by the Craft-Bamboo Mercedes-AMG GT3 of Jeffrey Lee and Alessio Picariello. Porsche drivers Tanart Sathienthirakul and Philip Hamprecht then won the Sunday race, heading a Porsche one-two from Vutthikorn Inthraphuvasak and Alex Imperatori. The weekend marked Triple Eight’s debut in the competition, drivers Prince Jefri Ibrahim and Jazeman Jaafar fourth in the opening race and 13th in Sunday’s race. Australians Andrew Macpherson and Ben Porter combined to win the Am class in Race 1, but a mix up during their pit stop saw the pair drop to the back of the field for Race 2. The next round of the Blancpain GT World Challenge Asia will be held at the Buriram on May 11-12. 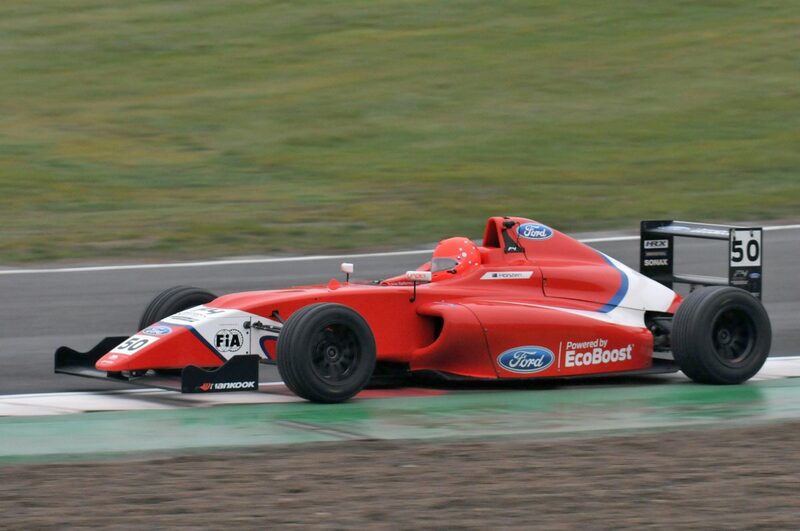 Bart Horsten finished in the top five on debut in the F4 British Championship at Brands Hatch. The Australian pulled off a move under brakes into Paddock in the closing stages of Race 1 to move into fifth, where he would take the chequered flag. Horsten then suffered a DNF, getting beached in the gravel at Clearways in Race 2. He was then able to fight back up the field in the final race of the weekend, improving to sixth place at the line. Luke Browning won Race 1 and also crossed the line first in Race 2, but was penalised for contact, handing the top spot to Louis Foster. Sebastian Alvarez enjoyed spoils in Race 3. British F4 heads to Donington Park for Round 2 from April 27-28. 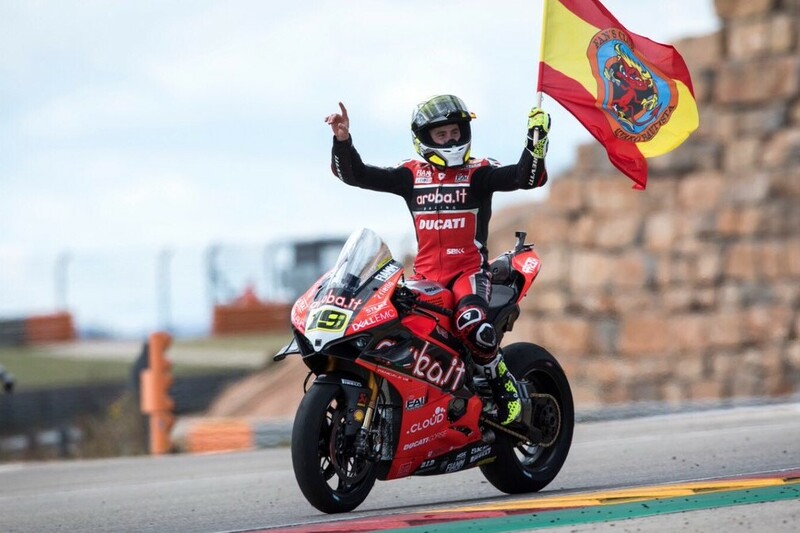 Alvaro Bautista is now nine wins from nine after he continued his romp at the Aragon Round of the 2019 Superbike World Championship. The Spaniard put his factory Aruba.it Ducati on pole and staved off Tom Sykes (BMW Motorrad) on Lap 1 of the opening race before disappearing to a 15.2s victory. Bautista had an even easier time of it in both the Superpole Race and Race 2, claiming the 10-lapper by 5.8s and the second 18-lapper by 6.9s after getting as much as 10 seconds clear. Current champion Jonathan Rea now has nine runner-up finishes to his name in 2019. The Kawasaki Racing Team rider qualified only 10th but climbed to second placing in Race 1 after an apparent clash with Markus Reiterberger (BMW Motorrad) and a big battle with Chaz Davies (Aruba.it Ducati). In the Superpole Race, Rea saw off eventual third place finisher Alex Lowes (Pata Yamaha), and was handed second place in the finale when Davies ran wide at the start of the final lap. Bautista’s championship lead is 39 points on the way to Round 4 at Assen this weekend (April 12-14). 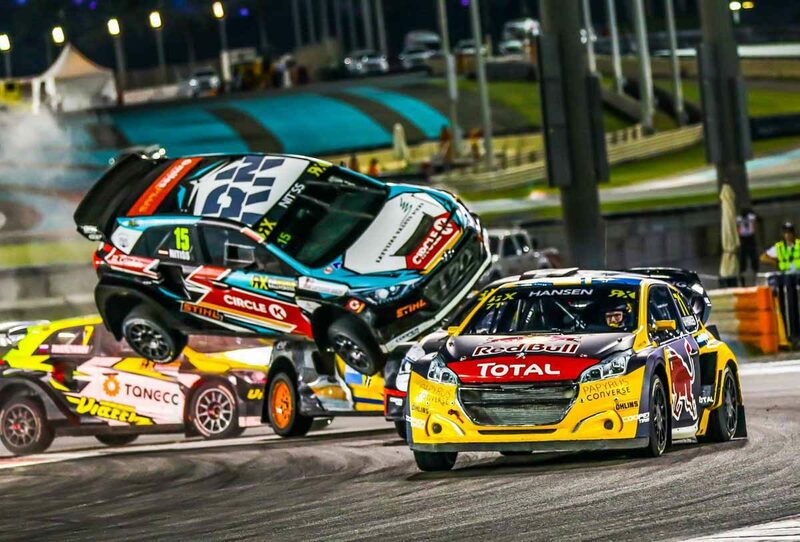 Kevin Hansen claimed his first FIA World Rallycross Championship victory in Abu Dhabi after Niclas Gronholm copped a penalty. Gronholm and Hansen ran nose to tail for the first four laps of the final, before the pair made contact at Turns 10 and 11. Hansen was pushed sideways and Gronholm slotted into the lead, holding sway until the chequered flag, but was slapped with a three-second time penalty which relegated him to second. Brit Liam Doran finished third. Spain hosts the second round of the championship for the World RX of Catalunya from April 27-28. 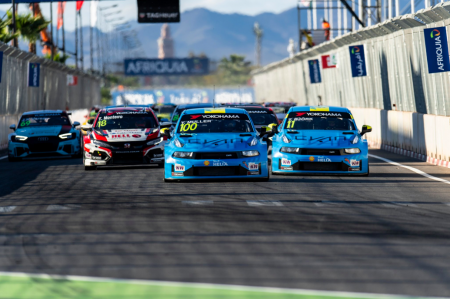 Esteban Guerrieri, Gabriele Tarquini and Thed Bjork were victorious in the WTCR curtain rasier at Marrakech. Guerrieri converted from pole position in Race 1, having the measure over Bjork and third place man Nestor Girolami throughout the race. Tarquini won the reverse grid race after pole-sitter Nick Catsburg crashed out of the lead in the mid-stages, with Jean-Karl Vernay and Yann Ehrlacher in second and third. Yvan Muller was leading in Race 3, but a mechanical issue saw him retire, handing the win to Bjork, followed by Frederic Vervisch and Mikel Azcona. The WTCR heads to the Hungaroring next from April 27-28.